After reading Christa’s review of Gillian Flynn’s Gone Girl. I became a little obsessed with reading the book. At first I thought it’d be the book I’d use to break in my brand-new library card. Hot Damn! I was so excited. Then when I checked the library I discovered the book had a long, long, long really long waiting line. It’d be something ridiculous like 90 days until I could get the book. I wasn’t even sure I could wait until the end of the day. 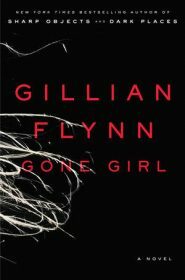 I couldn’t, and thus Flynn’s Gone Girl because the very first ebook I bought & read. Am I glad Flynn’s book is an absolutely riveting, engrossing read. If it were even the teensiest bit boring or bad, I’d have ditched it because reading an ebook on my iPad was not a pleasurable experience. In fact, I kind of hated it. Thankfully, the book is the kind of awesome that has you nailed to the couch unmoving, unblinking for 90 minutes at a time. Here you have Nick and Amy. He’s a ridiculously good-looking boy from Missouri living as a writer in New York. She’s a charming, charmed, beautiful writer the subject of her parents’ super-popular children’s book series called Amazing Amy. Things are going swell for Nick and Amy. Their first kiss happens by chance in a swirl of powdered sugar dust. They’re smart, beautiful, rich, in love . . . and then the Internet has to come along and ruin everything. Rather quickly they find themselves strapped for cash, living in Small Town, MO, and not as in love as they thought they were. On the morning of their fifth wedding anniversary Amy goes missing. There looks to have been a struggle at their house and while there’s no body, Nick soon finds himself the prime suspect in his wife’s disappearance. This book is ingenious. The way Flynn tells both sides of the story through Amy’s diary and Nick’s here and now is brilliant. She makes you wonder how two people living together can have such a different point of view on the same events. IT’S SO SMART AND CLEVER, it deserves all caps and a bajillion exclamation points. Whenever I read (or watch) mysteries I spend a lot of time trying to ferret out all the clues. I want to figure out the solution to the puzzle well before it’s revealed. It makes me feel smug and smart. You could have given me a thousand years and a million guesses on this one and I’d have never figured it out. Never. 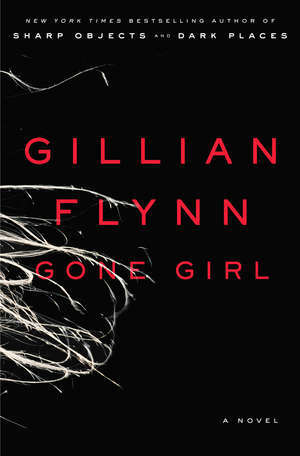 Gone Girl is the kind of book that will have you cackling with glee at the twists and turns and the monstrous people involved. At alternating times you will love and hate everyone involved. It’s so damn much fun I don’t even know what to say about it, besides read it. You will not regret it. I second everything you say. I’ve been pressing this on people: “Here! The book of the summer!” And the ones who are reading it agree. LOVED the ending.